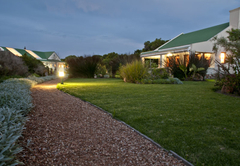 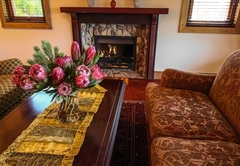 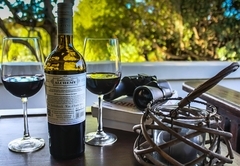 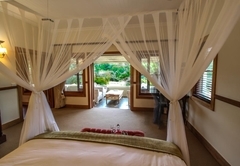 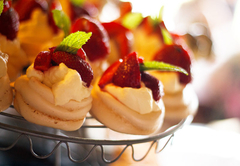 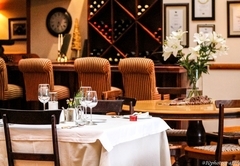 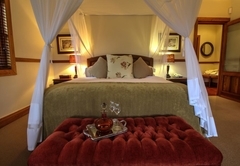 Dune Ridge Country House is a 4 star graded hotel offering St Francis Bay accommodation in 7 guest rooms. 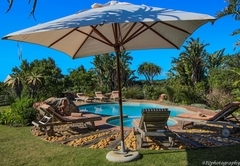 Nestled between thick coastal fynbos on the outskirsts of St Francis Bay and Cape St Francis, Dune Ridge is an award winning Country House which recaptures the mystique of an authentic African farm. 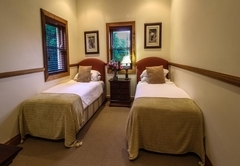 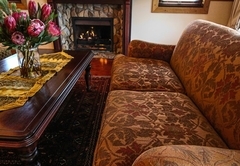 With six double rooms and a family cottage Dune Ridge Country House welcomes children of all ages; the needs of children and families are well catered for. 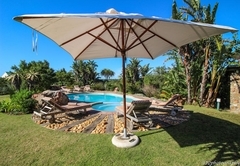 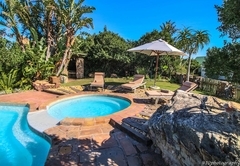 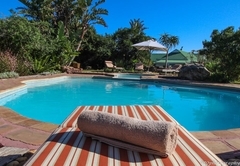 The guesthouse boasts a tranquil environment that surpasses any other in the area, with large secure gardens, a beautiful and private swimming pool area for those lazy summer days. 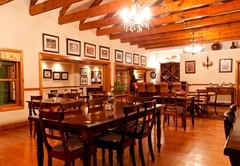 Dune Ridge offers various beautiful seating areas around the country house to enjoy the delicious country cuisine on offer. 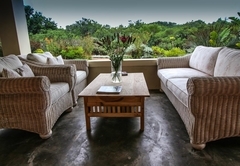 Breakfasts are served either in the large sunny breakfast room or out on the front patio overlooking the gardens, offering a selection of homemade treats to start your day. 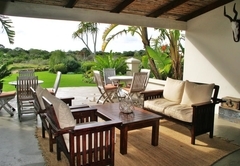 Light lunches are served on request at the swimming pool or on the front lawn and dinners are served in the dining room or out on the patio, surrounded by lanterns in the summer months. 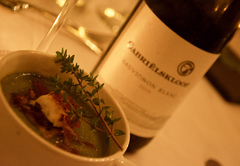 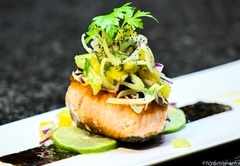 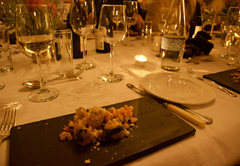 The menu is created utilizing ingredients from the vegetable garden or sourced locally to produce the finest in quality. 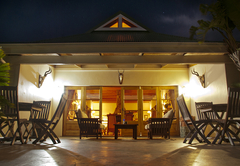 We offer both dune and coastal forest walks as well as evening frog safaris, an in-house treatment facility and a Bush Spa. 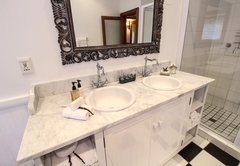 There really is no shortage of things to do and see whilst staying with us! 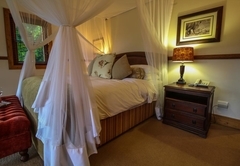 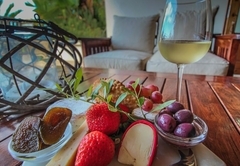 Dune Ridge Country House and its staff are extremely conservation conscious ensuring that the footprint of the guesthouse is at an absolute minimum and practice Fair Trade Principles to the best of our abilities. 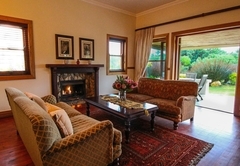 We had an amazing stay at the country house as part of our honeymoon. 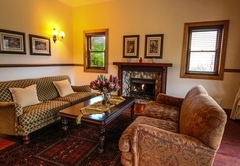 The hotel is very nicely decorated, with beautiful gardens and surroundings. 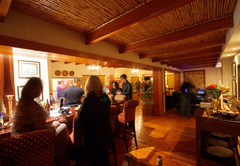 The staff at Dune Ridge has also been really welcoming throughout our stay, and the food was delicious. 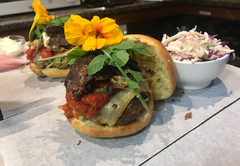 I would 100% recommend this place. 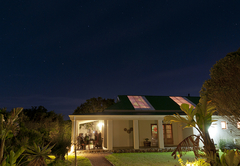 Response timeDune Ridge Country House typically responds to requests in 5-10 minutes.